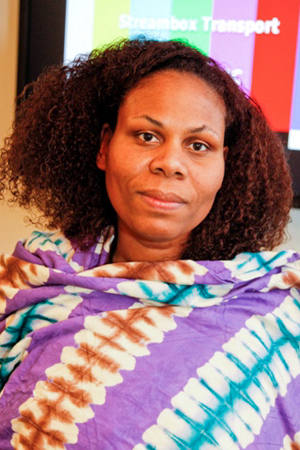 Monique Douglas came to BNN in 2004 from the Boston independent film community. At BNN, she has worked as a Media Lab Assistant, an Equipment Coordinator, and the Multimedia and Youth Coordinator. As one of the youth coordinators, she teaches high school students media production and their work has won the PEG Access “Hometown Video Awards” and an “EMMY” nomination. Ms. Douglas is also the instructor of the Field Production and editing classes. Monique hails from Jamaica and lives in Dorchester, MA.